The flagship of the 320 X-Series and the pinnacle of competition performance. The P320 X-Five 9mm incorporates all of the most important features to maximize accuracy, shootability and ergonomics while maintaining the modularity of the standard P320 platform. The 5" bull barrel and lightened slide pair perfectly for match-grade accuracy and are equipped with Dawson Precision® fiber optic front and fully-adjustable rear sights. 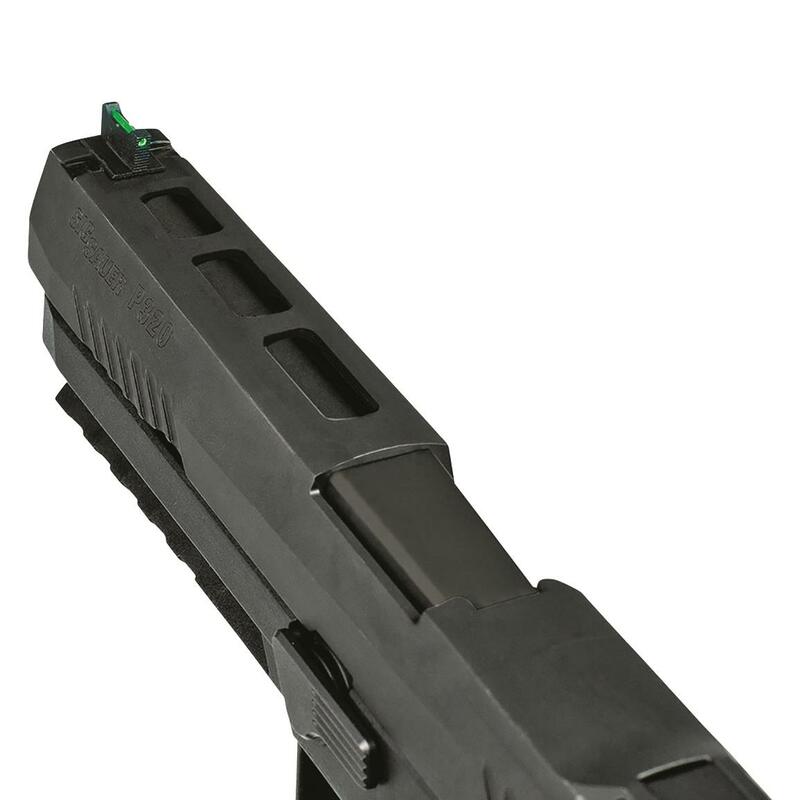 The rear sight is mounted to a plate—remove the plate, and the slide will accept the Romeo1 Reflex Sight (not included). The X-Series grip module is exclusive to this line and features a deeper trigger guard undercut, a higher back strap and an extended beavertail to ensure a higher grip for better recoil management. It also comes standard with a removable grip weight for improved balance, as well as an extended slide catch lever to facilitate faster reloads. 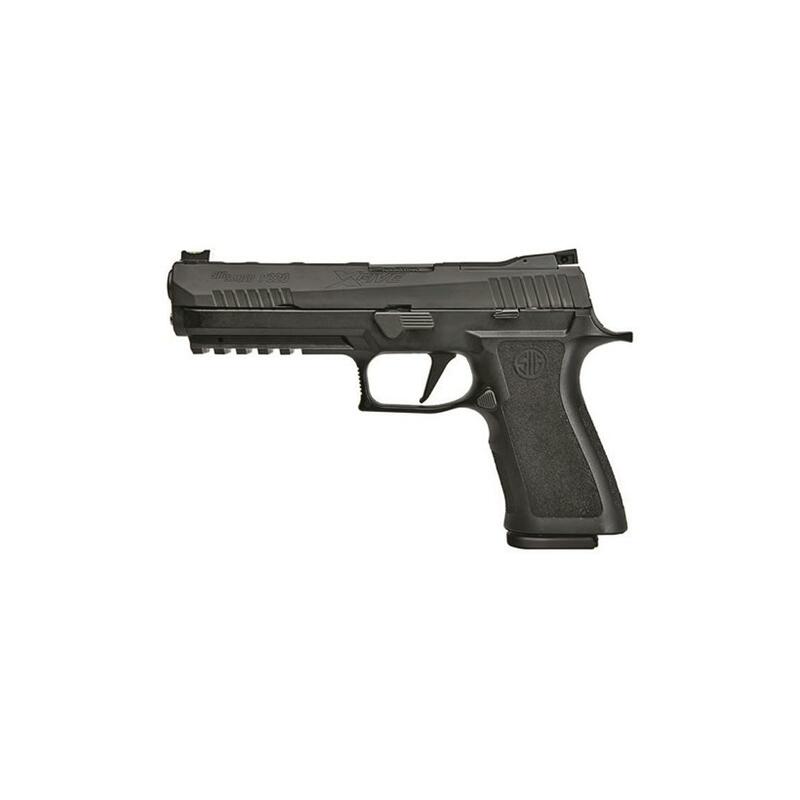 Like all X-Series P320s, the X-Five has the straight trigger that breaks at 90° for an even better feeling pull. 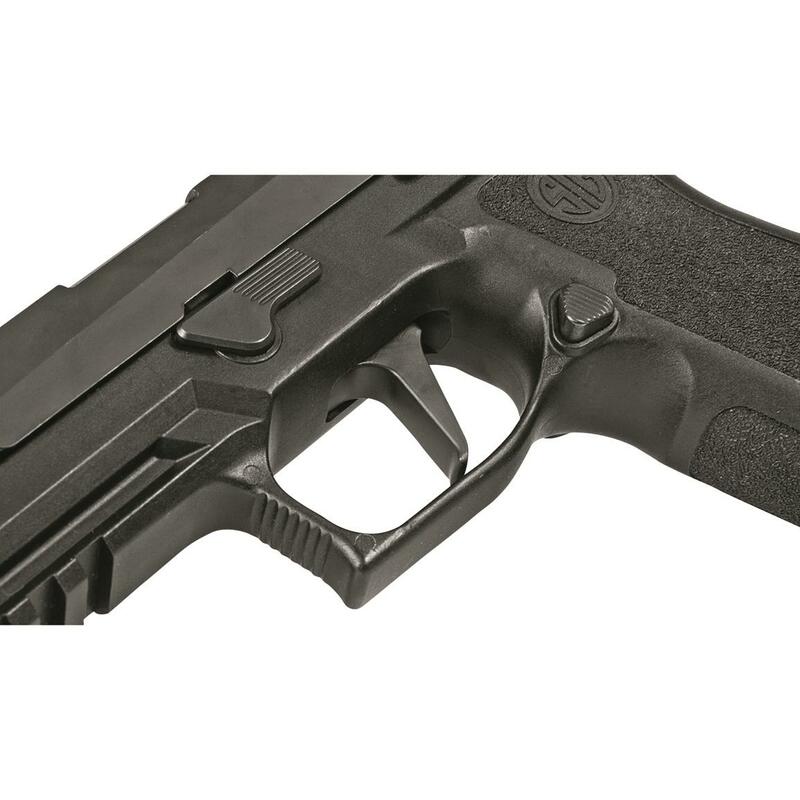 It's a competition-ready Pistol out of the box—and it's also a standard 320, with all the modularity that entails. SIG SAUER P320 X-Five Full-Size, Semi-Automatic, 9mm, 5 Bull Barrel, 10+1 Rounds is rated 5.0 out of 5 by 1. Rated 5 out of 5 by Donald from Short and to the point. I would absolutely recommend this sidearm to anyone to at less shoot once.